Benleigh Vending Systems was first established in 1995, with the idea of supplying vending machines to businesses located in Adelaide. 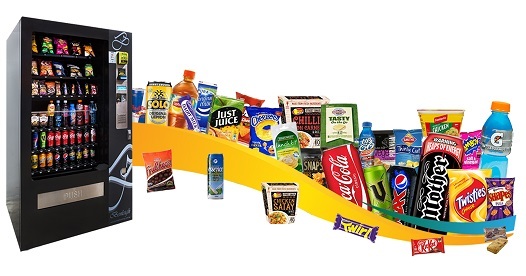 Today, our company is the largest independent vending machine vendor in Australia. We supply quality products to all cities and most suburbs within Australia. Increased demand for vending services within general industry, schools and hospitals, has allowed for our operations have rapidly grow. Our company has come to the forefront of the industry due to our ability to exceed customer expectations. With more people across the world wanting healthier products and more variety in a vending machine, we set out to meet these new demands of the industry . Our custom designed machines, unbeatable customer service, and our extensive healthy options range, make us one of the most progressive companies in the entire industry. Fast forward to today, and there is a lot to get excited about. We have introduced several exciting innovations which our clients are really enjoying. We have installed new pay wave and credit card readers in thousands of machines situated all across Australia. Our coffee range has also become a big favourite in hundreds of work place offices! In 2013 we designed a modern 2 storey warehouse/office complex to accommodate our fast growth. We now have more trucks, products and wonderful employees than ever before. Aside from our snacks and drinks models, we have even expanded our range to include healthy, coffee, PPE, medical and stationary based systems. Our focus is very much on keeping up with advancing technology, as well as providing services for today’s changing market place. Although we do offer a few different types of systems, each type is very important to us and we have specialized teams who solely focus on their respective areas. Now Is The Perfect Time For A Vending Machine! Our machines feature a range of new innovations including smart card adaptation, stock reading, electronic accounting, GSM telephone communication, bill validation, credit card readers and Tap & Go/Pay Wave technology. More than 1,600 Australian Businesses Are Enjoying Benleigh's FREE Vending Machine Service. You Can Too!